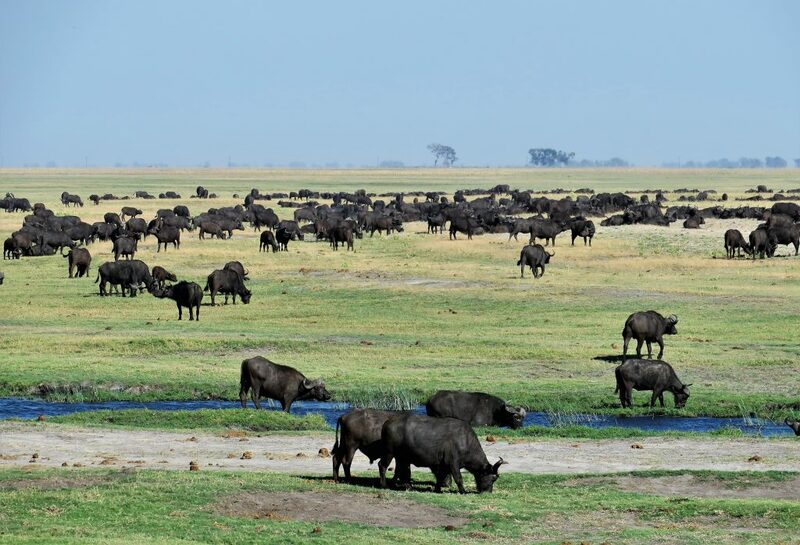 The Sounds of ‘Silence’ | Luxury Safari Experts | African Safari Co. 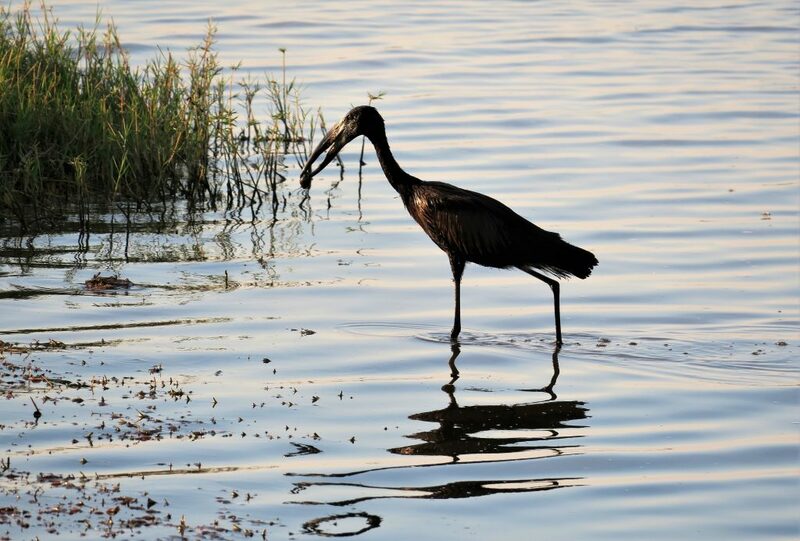 Nothing could have prepared me for the fabulous ‘quiet’ I experienced on the Chobe River in Botswana… where the only sounds were the occasional cry of a fish eagle, the swish of a crocodile slipping into the water and the trumpeting sounds from Chobe’s elephants. 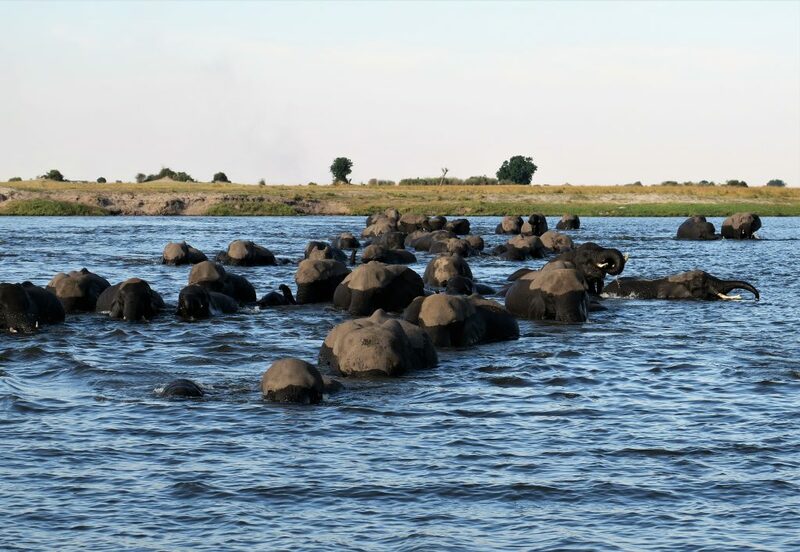 Despite knowing that Chobe Game Lodge utilized electric, and solar-powered boats, I was still surprised how silent they were as we glided upriver. 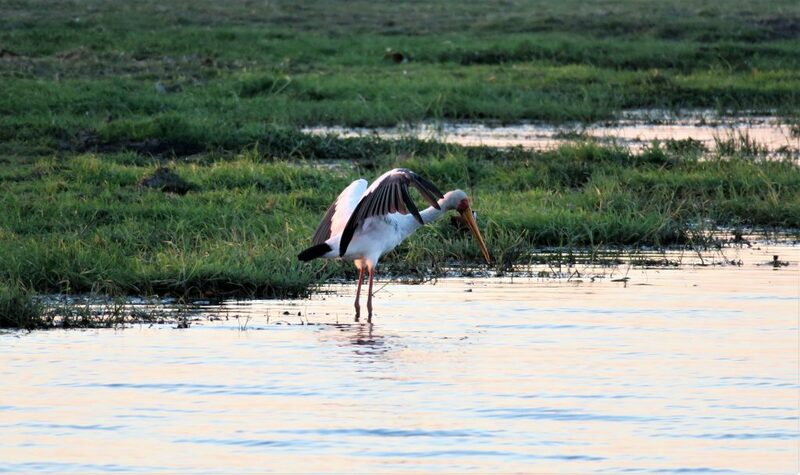 An African open-bill barely noticed us, continuing its search for molluscs and a pair of yellow-billed storks maintained their vigilant search for fish, oblivious of our presence. Crocs fished the shallows for barbel, while a herd of puku watched on from the shore. 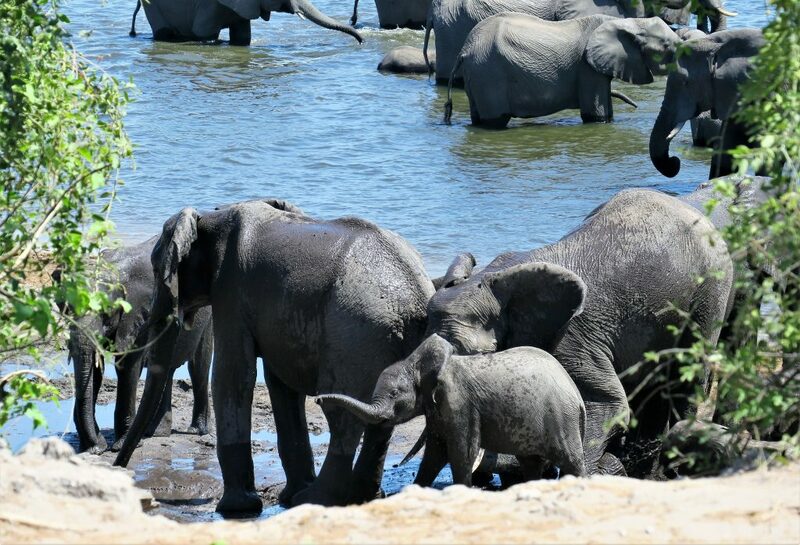 The ‘quiet’ of the eco-boats was not the only thing that impressed that first afternoon – Kgomotso our guide, one of 16 in the all-female guiding team, was quick to notice that a huge herd of elephant was rushing towards the banks of the river from the Namibian side. She skillfully maneuvered the craft so that we were in the best spot to experience the crossing… and oh my, experience it we did!! What an incredible start to our #ThisIsChobe journey. Could it get any better than this? Absolutely. 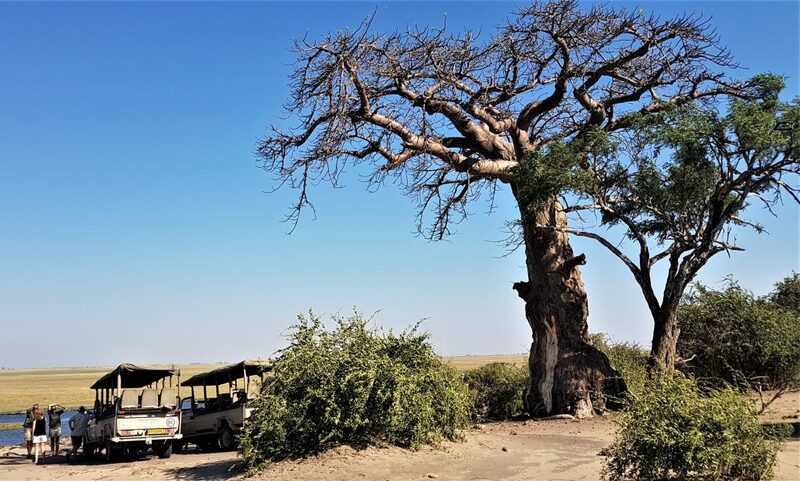 The following morning, after dragging myself out of the wonderful comfort of my king size bed and downing a quick cup of coffee, we were off for a game drive – in one of the electric-powered Land Rovers. We hear leaves rustling as a gentle breeze moves through the trees, and bird calls punctuate the still of the morning. 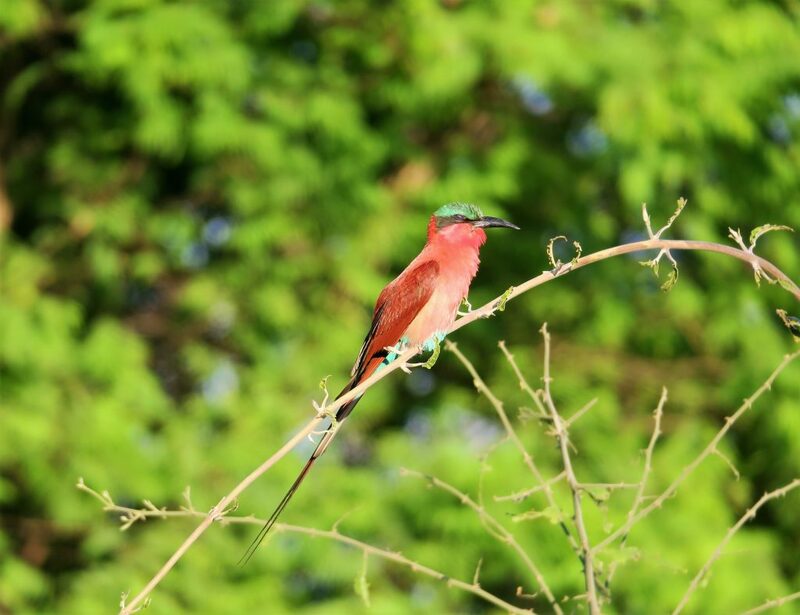 A carmine bee-eater watches from a nearby twig. We pause for a herd of elephants to cross the track in front of us. 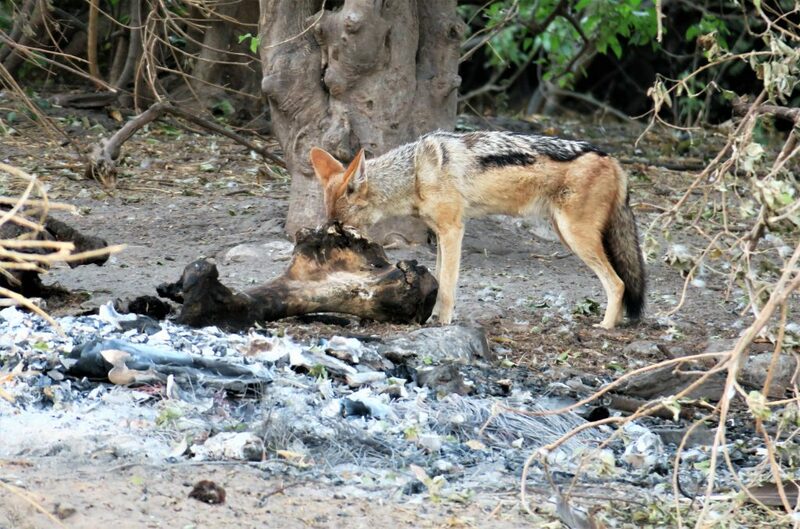 And watch a pair of jackals scavenge from a very old elephant carcass which had died from natural causes. With barely a snack available they soon gave up and slunk back into the bush. And this was all within the first half hour!! 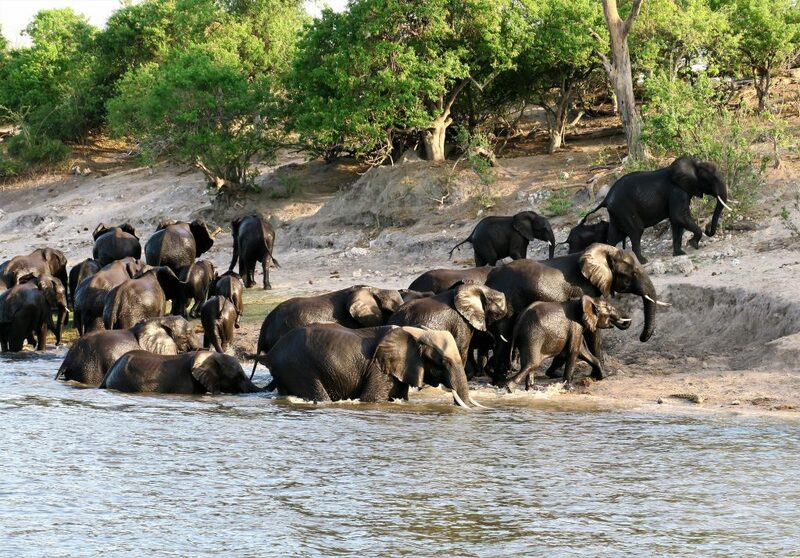 All is well in the Chobe National Park. Gobi, another member of the female guiding team, slows the vehicle… ‘guests saw leopard here last night’ she says as she scans the trees. Despite being well camouflaged by bushes she spots a young leopard which, as desirable sightings often do, decided to head further into the bushes. 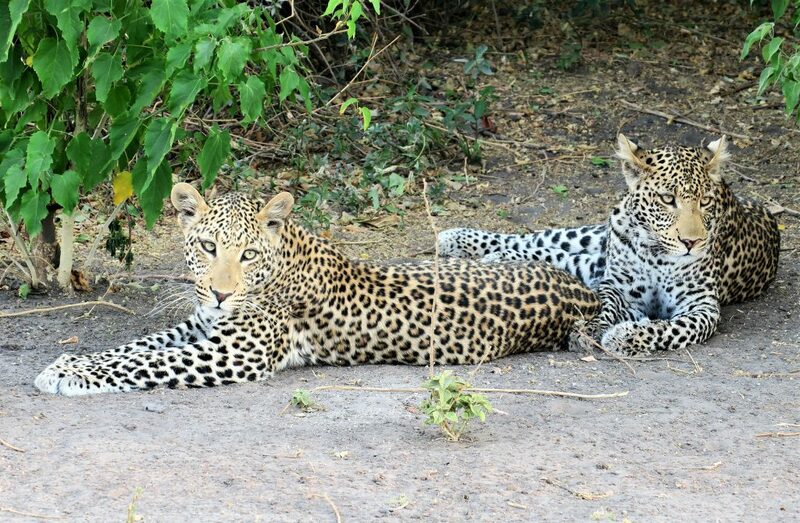 Silently she maneuvered the Landy to the other side just as the young male leopard emerged and chose to lie down in full view of us – not bothered by our presence and certainly appreciating the quiet of our vehicle. Excitement reigned, and cameras clicked, especially as his brother soon joined him. We see more elephant, loads of them. And the biggest herd of buffalo I have ever seen, estimates were that it was a herd of approximately 400 – but in perfect ‘fisherman’s tale’ fashion, the number grew exponentially  We follow lion spoor, but to no avail but get to watch a herd of elephants quench their thirst and enjoy swishing glistening charcoal mud over their bulk. One of the littlest ones tried to copy its older siblings, but its trunk just wouldn’t cooperate. So cute. 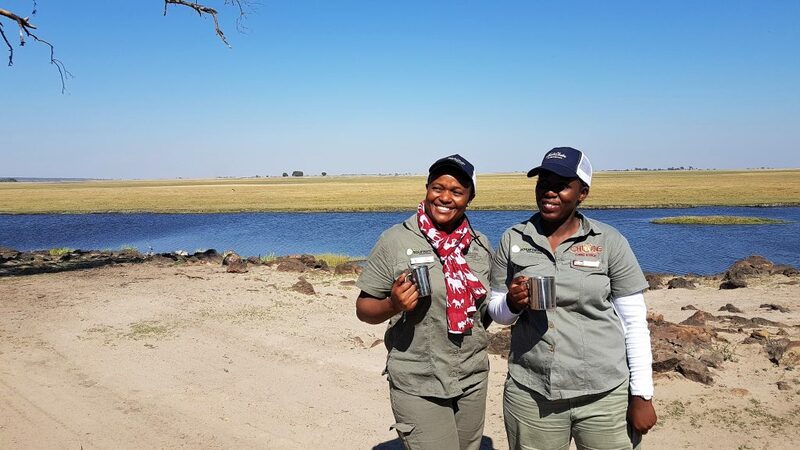 Coffee and a packed breakfast beneath a baobab tree enabled us to stretch our legs and appreciate the view across the flood plain of the Chobe River. I wonder what it must be like in the wet season, when the water stretches for miles and the surrounding bush is lush and green. Much like our safari, with wonderful eco-credentials. 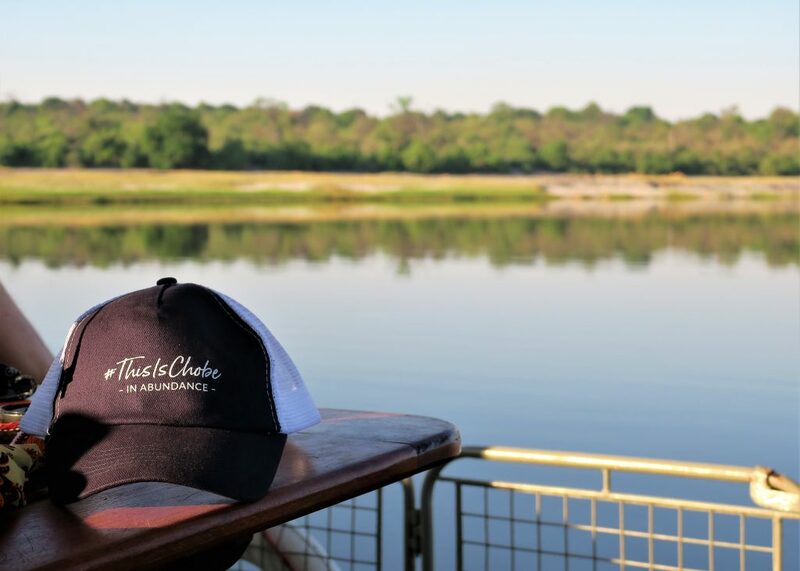 This idea of ‘eco’ vehicles started in 2010 when Chobe Game Lodge became one of the first properties in Botswana to be fully ecotourism-certified. Jump four years and they became the first electric-powered safari operator in Africa. Johan Bruwer, General Manager of Chobe Game Lodge, told us that this was at a huge cost, especially in the early days when the technology was still new – but thankfully it is a little cheaper now and the next few years will see the last of the fleet (both game vehicles and boats) being converted from diesel to electric. ‘But it’s not about the cost’ he says, ‘it’s about doing the right thing’.